Spin Productions present our 3rd Basic Filmmaking Workshop. You will learn the whole production process from pre-production, production and post production in 2 days from the experts. 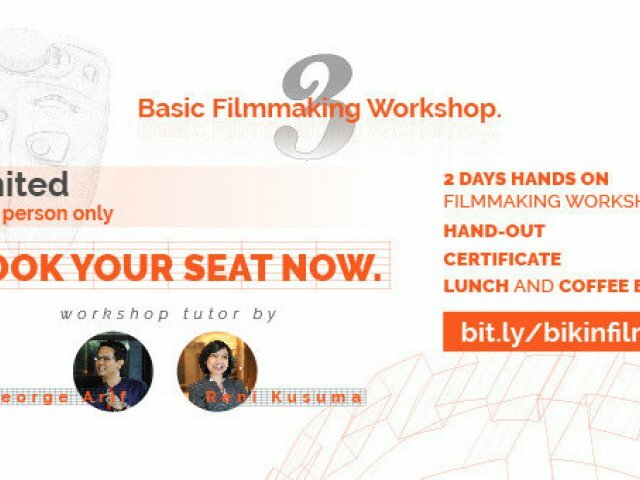 With almost 20 years experience in the industry and many globally broadcasted works, George Arif & Reni Kusuma will guide you step by step in detailed aspects of filmmaking. Limited for 20 person only, book your seat now.